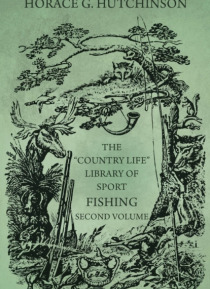 This is the second volume of "e;The 'Country Life' Library of Sport - Fishing"e;, containing a wealth of timeless information for the modern angler. This Easy-to-digest and profusely-illustrated book contains chapters on everything from the classification of fish and equipment, to proper technique, common problems, and much more; making it ideal for the novice fisherman one not to be miss… ed by collectors of vintage angling literature. Many vintage books such as this are becoming increasingly scarce and expensive. We are republishing this volume now in a modern, high-quality edition complete with a specially commissioned new introduction on the history of fishing.